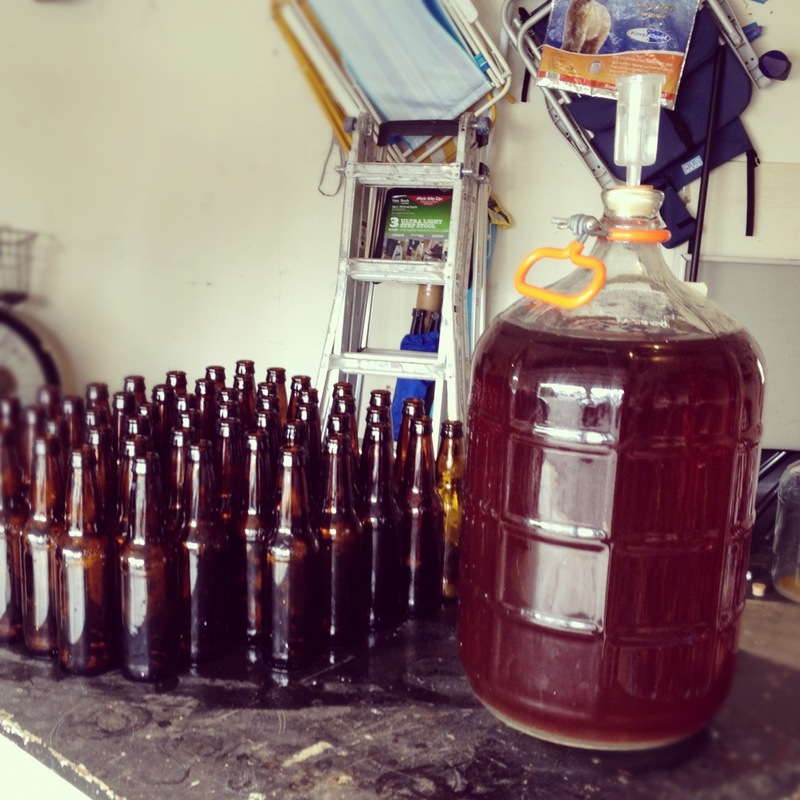 The Nobler Experiment is growing! And is in need of a little refreshment. So I’ve gone ahead and hired the best web developer on the planet…. He’s great at his craft, but he tends to take quite a few “coffee breaks”. He promises me, the new and improved Nobler will be ready by next week so let’s hope he’s stocked up on coconut waters to hydrate his way to success. I’ll keep you all updated on his progress. Cheers to the re-launch of the Nobler Experiment coming soon! 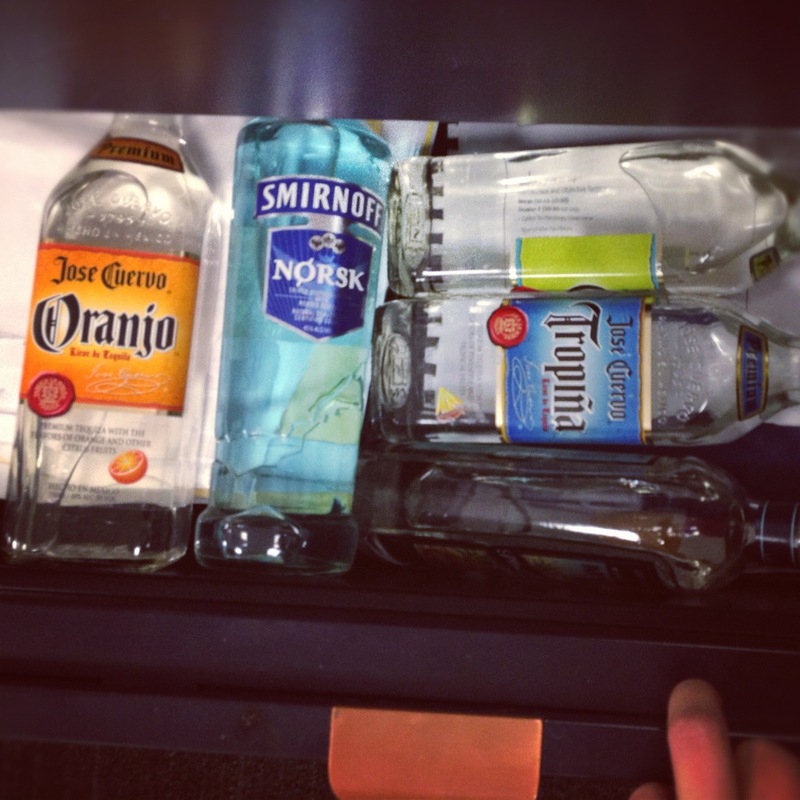 The 2012 Nobler Holiday Gift Guide – Happy Repeal Day! It seems rather appropriate that this year’s Nobler Holiday Gift Guide begin on Repeal Day. 79 years ago today, the 21st Amendment to the US Constitution was ratified signalling the end of the near 1 1/2 decade long era of Prohibition. The ban on the sale and consumption of alcohol in the states, often referred to as the Noble Experiment, was a tumultuous albeit fascinating time period in our country’s existence. Which is why for my first gift suggestion of the year, I refer you to Daniel Okrent’s Last Call: The Rise and Fall of Prohibition. You might be wondering if your drink loving gift receiver is into reading historical non-fiction (of if they even know how to read at all), but I’ll tell you from experience, Okrent’s work is sure to pull in just about anyone who appreciates the complexity of alcohol, particularly those who have become enamored with the new American resurgence in craft distillation. But just in case your friend, family member, or loved one is terrified of actually reading (so happy I overcame this fear a few years ago), pick up Ken Burns’ documentary, Prohibition, on DVD as this PBS aired mini-series covers much of the same material. So Happy Repeal Day to you all and check back every day for the next few weeks for more of this year’s Nobler Holiday Gift Guide! In December of 1933, the 21st amendment was ratified, officially repealing the ban on alcohol. But the beer lovers had a bit of a head start! April 7th of the same year marked the re-legalization of the sale of beer producing lines at all the local taverns and pubs. I have a pretty strong deterrence to any bar that makes me wait in line these days, but that is a line I would have loved to experience. The energy must have been intoxicating! In fact probably much more than the beer itself. Unfortunately, the alcohol content of the beer for sale had to remain under 4% alcohol by volume. For context, PBR is listed as 4.74 % ABV. And how many PBRs can you drink? But maybe it was for the best. Probably a good thing to ease back into it! It’s been almost 80 years since that fateful day, so be sure to celebrate! And get started tonight. There may not be a giant ball dropping in times square, but I’ll be sure to cheers at midnight. Happy New Beers Eve! When the Noble Experiment was officially deemed a failure, and the Prohibition ban on drinking was lifted in 1933, America was free to booze again. However, maybe not the extent that I had originally believed. 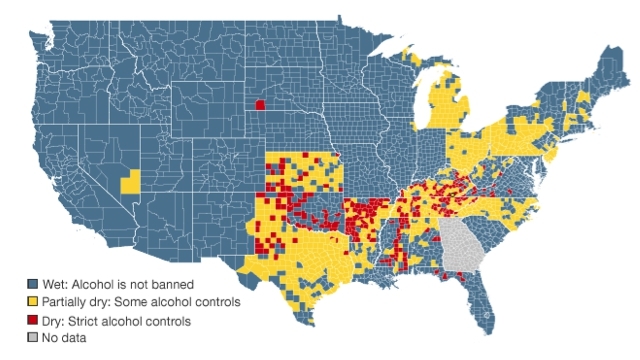 As seen above in the pretty picture taken from this io9 article, there is still a good portion of the country limiting or completely prohibiting the sale of alcohol. Thinking back, I guess this isn’t that foreign to me after all. Growing up taking summer trips to Ocean City, NJ it never registered to me completely, but even back then I remember hearing the words “dry town”. The irony of course, is that just before the bridge leading you in to this moral haven lies one of the biggest liquor stores I’ve ever seen. And yes, we weren’t the only ones that stopped there. But as the io9 article points out, and as the Ocean City example further supports, it may be simple economics that finally breaks the ban’s supporters. As the economy has taken a toll on just about everyone (bet you didn’t think you’d get some economy talk on the Nobler! ), towns that have for seemingly ever kept alcohol out, are being forced to at least consider changing their ‘tude. It is simple. The sale of alcohol, even if it is just at restaurants, directly impacts the economic success of towns and cities alike. If you can get a cold beer with your burger just a mile or so away, what’s gonna stop you? A devout loyalty to your community? Maybe for some, but obviously not for the majority. Considering how much of the country is still on at least some degree of liquor lock down, who knows if we’ll ever be completely united in our post Prohibition ways. But I’ll gladly volunteer myself as moderator for the next town hall discussion on the matter. I’ll even bring the whiskey! You hear that community leaders…you know where to find me! 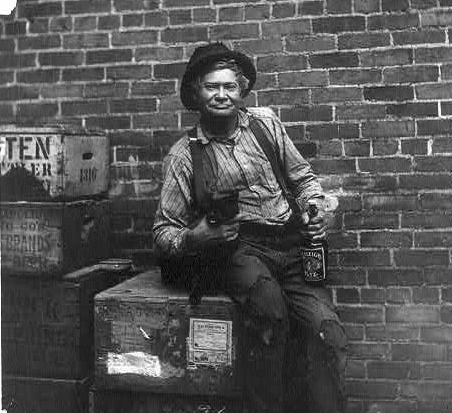 During Prohibition, there was plenty of drinking going on. Sure, it was technically illegal, but as we all know, that didn’t stop the majority. It simply required a change in tactic. Most dramatically, city dwellers found themselves sneaking away to unmarked basement bars and secret meet-ups to imbibe and let loose. It’s a sentiment that has us now, inundated with modern twists on the speakeasy as we all love a little nostalgia. But as fun and exciting as the underground drinking was back then, and as hard as we try to make it cool for modern-day, an afternoon like yesterday’s has me thinking about what those during Prohibition missed out on. For almost 15 years, the winter turned to spring, and the spring into summer, while those that love to drink, were forced to remain indoors. 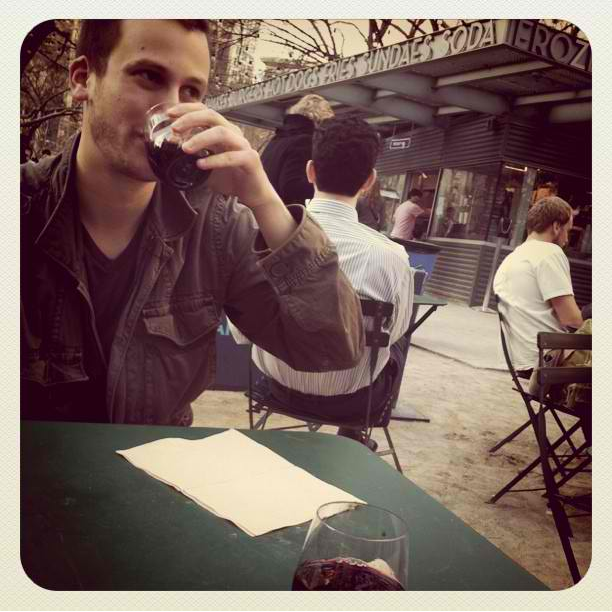 Is there anything better than outdoor drinking? Whether it’s the “outdoor seating” our favorite NYC spots cram on the sidewalk or the rooftop gatherings full of cold beer and tequila, I live for this time of year. There is a wonderful harmony that develops between raw energy and serious relaxation that can not be rivaled. So as the sun began to set and the temperature cooled just slightly, as if to remind me of how lucky I had been, I couldn’t help but sit back and enjoy this glass of red wine in Madison Square Park like maybe I never have before. Full disclosure: I’m pretty sure the intoxicating perfume of griddled beef had something to do with it as well, but regardless, outdoor drinking season is now officially open for business.